The artists, Adrien Jean Le Mayeur De Merpes was born in 1880, Brussels. His works are categorized into 3 periods. 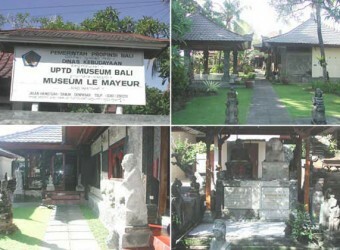 The period of Belgium 1902-1919, the period of travel 1919-1932, and finishing in the period of Bali 1932-1958. Ni POLLOK who is his Balinese wife and model distinguishes his drawings. After he was passed away, his house was changed to the museum. The location makes me think of Bali Island. I wondered Bali Island is also loved by other foreign people. It has interesting history and that was very educational for me.